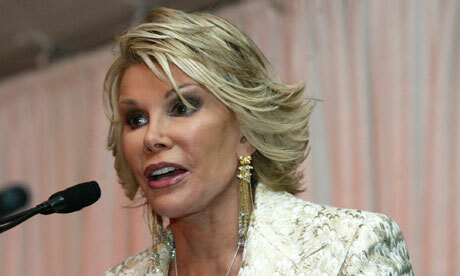 Joan Rivers? Really? I’m impressed! Wow, now there is finally a good reason to LIKE Joan Rivers. I know, I am as shocked as you are. But here is the scoop. During a recent interview with TMZ, she referred to Sarah Palin as “stupid and a threat.” Although this is a true statement, good ol’ Palin loving FOX News had another view. They axed her upcoming interview on their show Fox News and Friends. When FOX called Rivers’ PR people they stated the reason for the cancellation was her views and statements about Palin. Now we have known Joan for a long time now, and one thing we can say with certainty is that she is not quiet. Now, FOX is required to do some political spin and has released a statement saying some mumbo-jumbo about the “volume of new topics” and that they (tut-tut) just didn’t have room to squeeze her in. What a shame. Stick with me, this gets better. Joan also said in the TMZ interview that everyone was “right to blame Sarah for the shootings (the recent attack on an Arizona congresswoman that left six people dead.) Go look at her website. This woman is encouraging sandbaggers to reload …” Ok, I’m starting to love this woman. Again, very true statement. 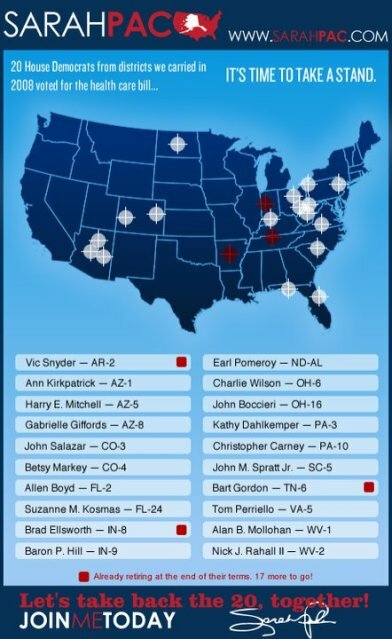 Palin had a map on her website that showed crosshairs indicating people we need “to take a stand” against. Not only that, but she listed each person at the bottom of the map. 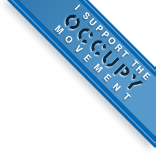 And who was under one of those crosshairs? You guessed it, Arizona Congresswoman, Gabrielle Giffords. And what happened to her? She was brutally and heartlessly shot in the head because she favored health care for the little people.